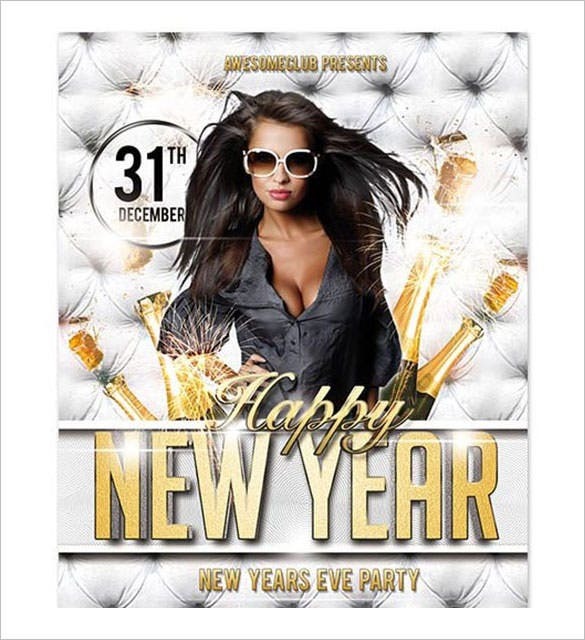 If you are planning to host a special event on New Year eve or the New Year day to pull in more traffic to your club, you have to take to the New Year posters. 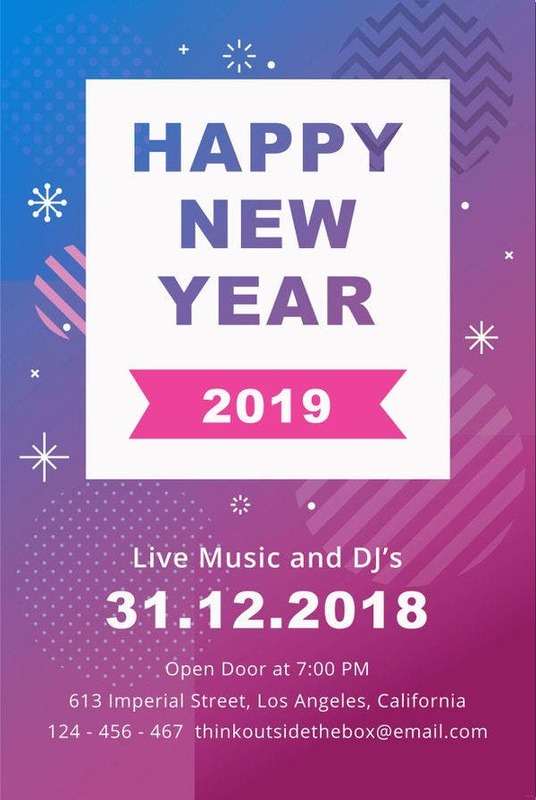 These posters can be emailed to your potential audience or sent to mail boxes to inform your prospective crowd about the grand event at your portal on the special occasion. 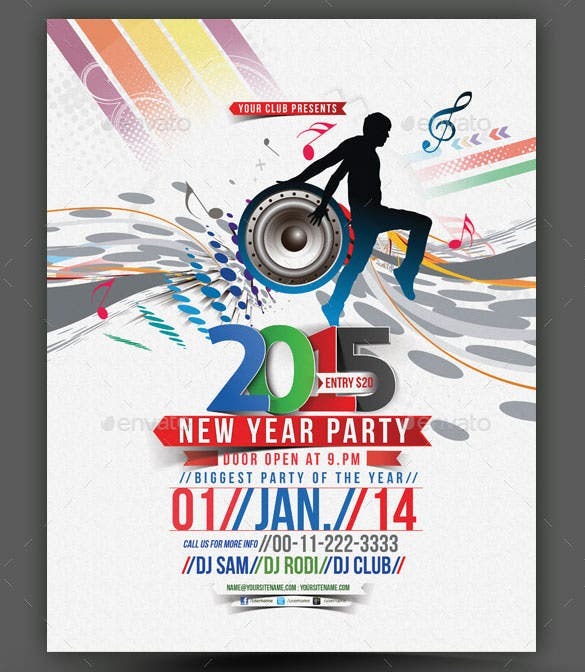 You can also see New Year Brochure Templates. 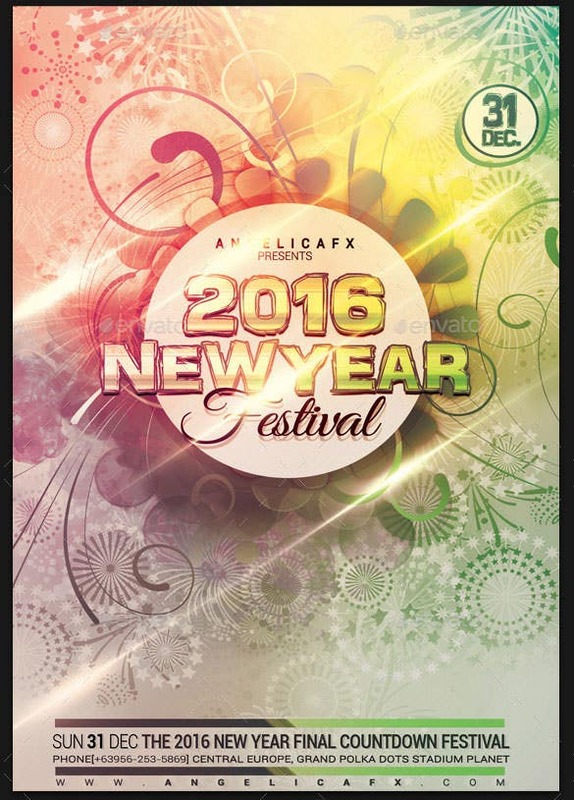 The 2016 new year festival flyer template in PSD is a visually stunning new year poster template that uses various visuals that can be created by Photoshop to make it more stunning. 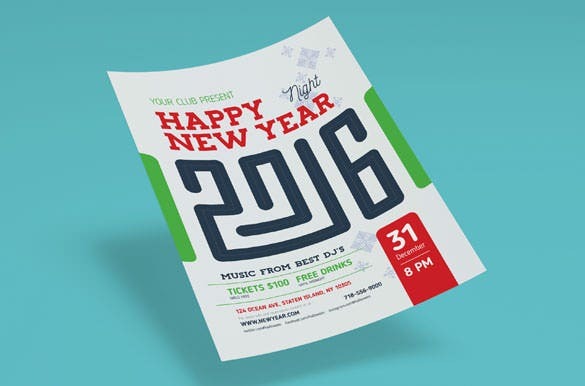 The 2016 new year poster template using Ai illustrator is a simple new year template that uses simple fonts and colors to make the new year poster template more attractive. 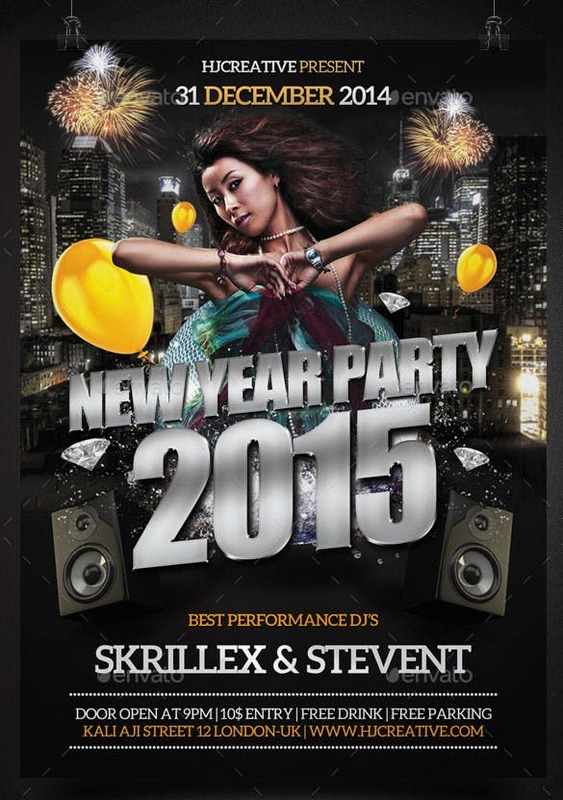 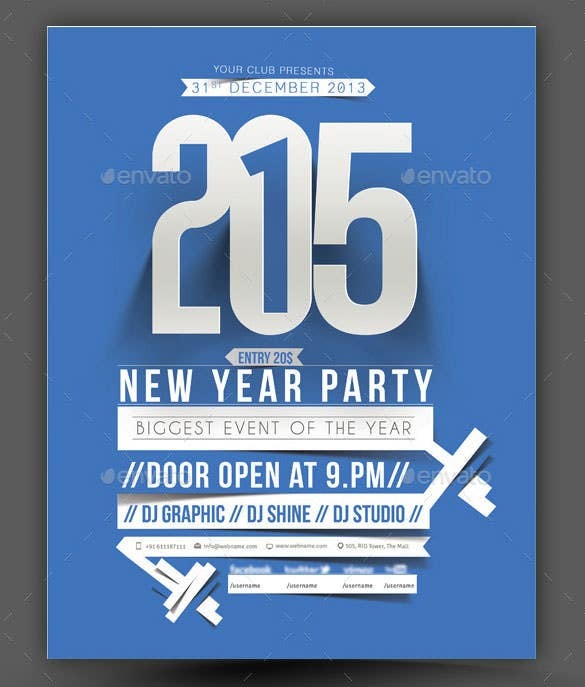 This particular Happy New Year Party flyer poster has an attractive layout and design. 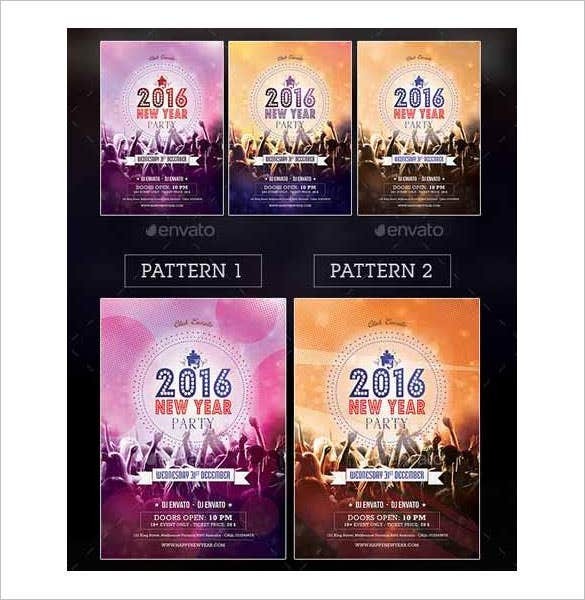 The template is a premium-quality piece and it is easy to download and customize. 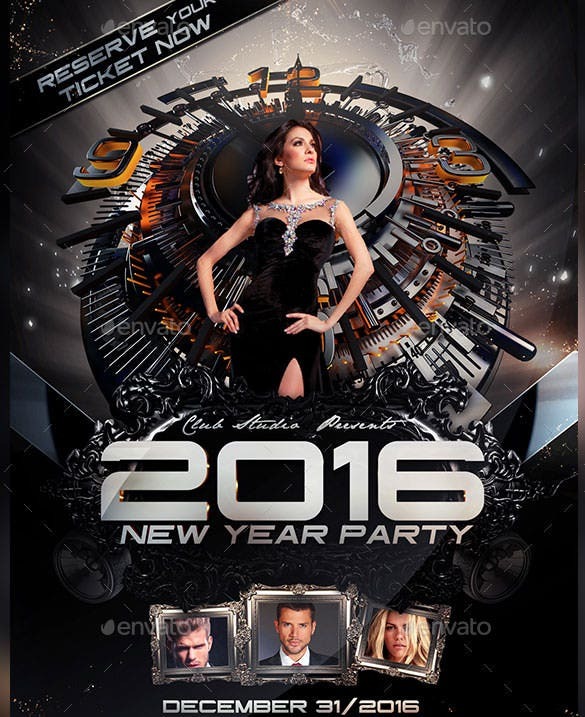 The black background enhances the visuals and artwork in the foreground. 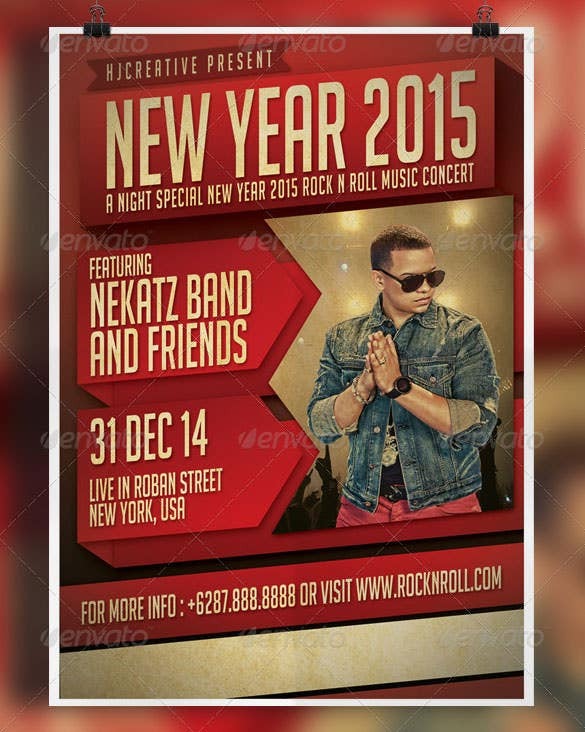 You can easily edit the elements – art and text – and personalize the poster flyer as per your needs. 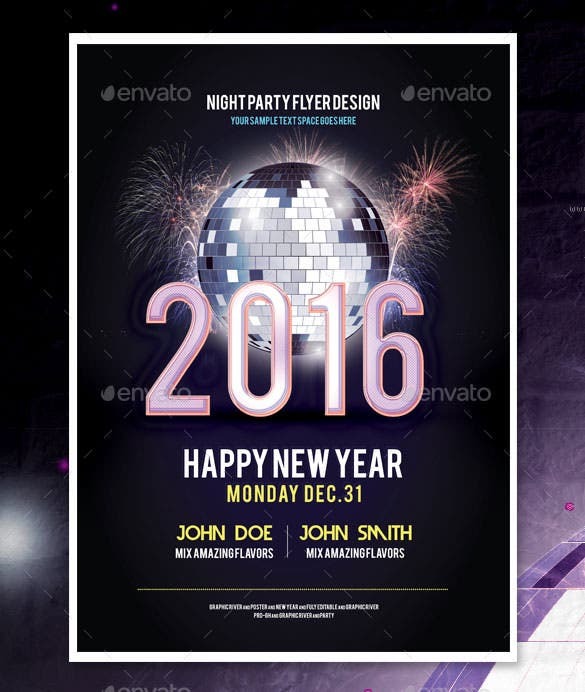 The 2016 new year flyer poster template is a bright and colorful new year poster template that uses a picture of the bright fireworks that are burnt at the beginning of new year. 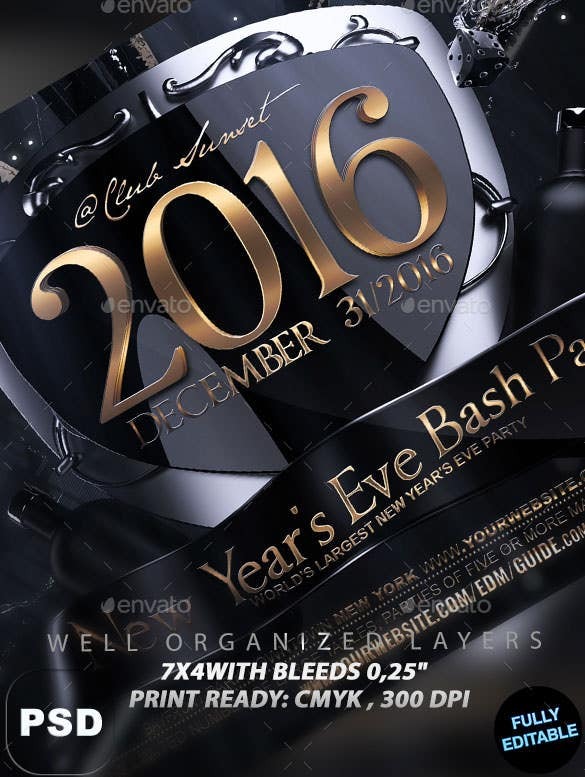 The new years eve flyer template 2016 in PSD is a beautiful and stunning new year template that looks excellent and can be used by the premium clubs who conduct special parties for the new years eve. 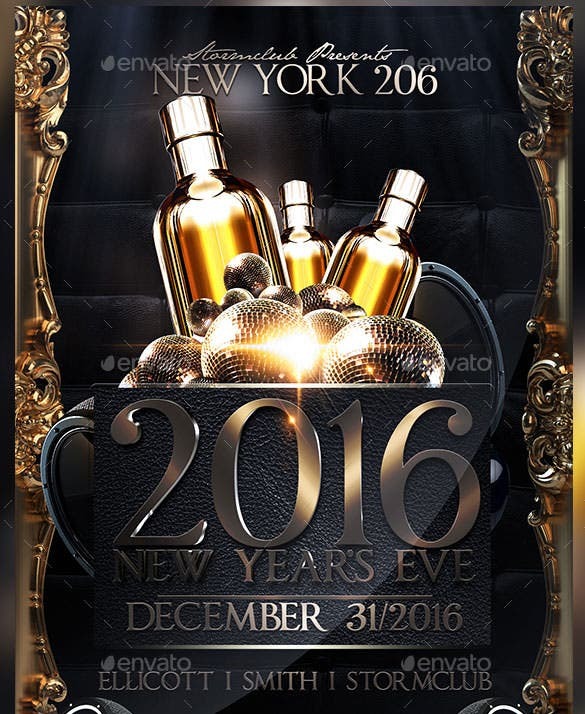 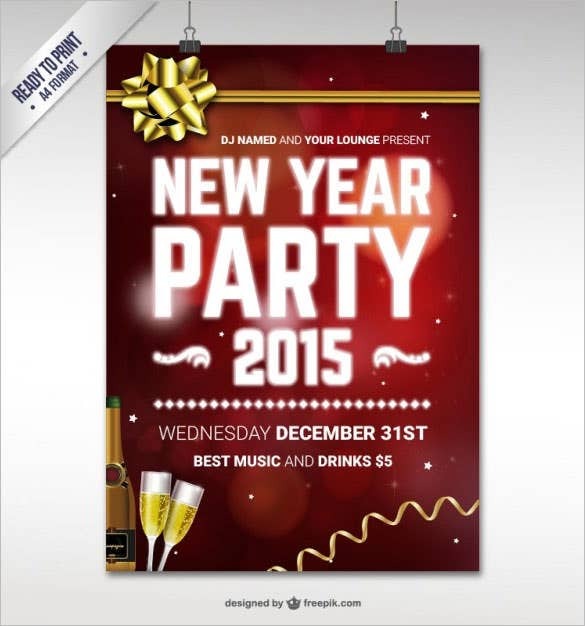 The 2016 new year party flyer poster template are two beautiful new year poster template that provides two different new poster template that you can choose from as both the patterns are really beautiful. 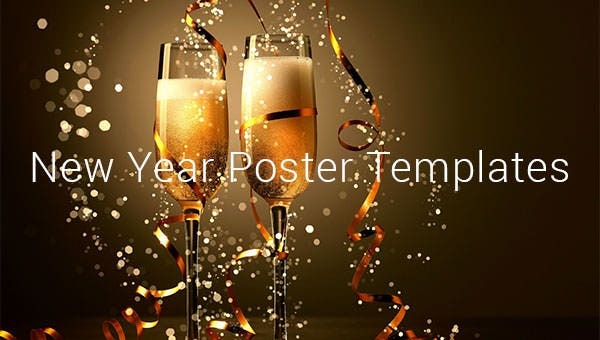 You have the New year poster templates sample to help you in making gorgeous New year posters in vibrant New Year backdrops. 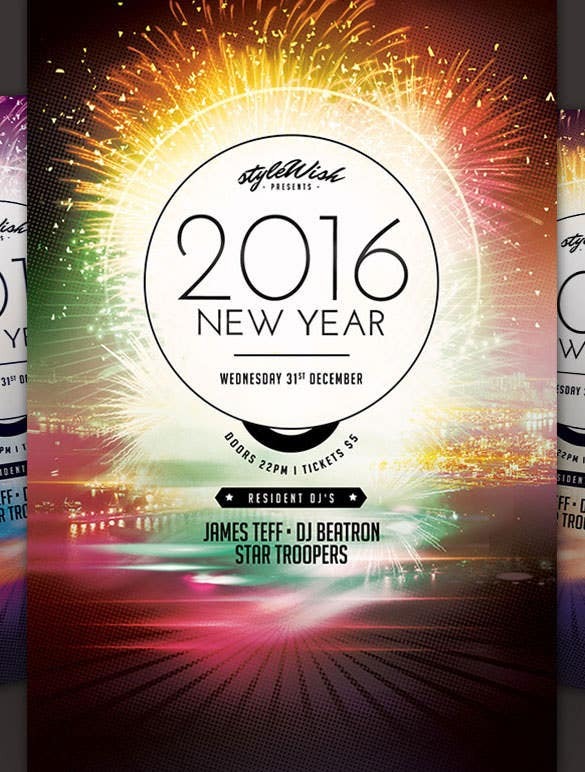 These posters are generally very colorful and will even come up with spaces to feature your star guest DJs.